Thinking of going gluten free, but wondering how to start? Trying to frame a diet right away can be a daunting task, so you need to make a list of gluten free diet foods first and then plan some tasty meals with these items. If you’ve been diagnosed with Celiac Disease or dermatitis herpetiformis, it goes without saying that you should always stick to gluten free diet foods. Gluten, a protein contained in grains like wheat and rye, can be harmful for people who are allergic to it. Grains like wheat, rye, and barley, and even oats are unsafe for such people. Gluten free diets are popular among the general populace too, who often take these up for maintaining their health. Stick to gluten free diet foods and avoid most baked items. 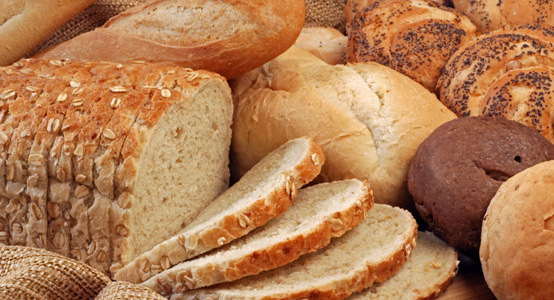 The problem is that some of the common food items available in the market are made of wheat, which is rich in gluten. From breads and cakes to cookies and pies, wheat is omnipresent. Even products that you would normally consider to be wheat-free, like vegetable and meat based products, might not necessarily be gluten free. In order to ensure that you choose the right food items, you should exercise caution when you buy any kind of processed food items. Gluten is used as an additive to many foods as it lends flavor and texture, and even products like canned baked beans, soy sauce, and sausages might contain gluten. Here are some tips on how to frame the right diet, with the right gluten free diet foods. First, you have to learn to recognize and avoid certain foods whose ingredients might include wheat or gluten. If a product has wheat in it, avoid it. You won’t find this too hard, as wheat is always listed in the ingredients, although it might be listed under different names like flour, white flour, or bread flour. There might be other sources of gluten that are not so obvious. If a product contains emulsifiers, starch, added flavors, and stabilizers, there are high chances that it contains gluten. Rice, corn, buckwheat, amaranth, millet, quinoa, teff – all these are safe food grains that are naturally gluten-free. Oats might not contain gluten, but because of the way it is grown and processed, there are high chances of wheat contamination. Bean flours and nut flours are not just gluten-free, they are also healthy. In place of wheat based flours, you can use flours made from chickpeas, peas, soy, and fava beans. Nut flours are also very healthy alternatives. You can use almonds, walnuts, chestnuts, pecans, or hazelnuts. For safe starches, you can use root vegetable starches like potato, tapioca, and arrowroot too. Going gluten free also involve changes to your lifestyle. Until you gain the practice and confidence to identify foods that might contain gluten, you have to avoid eating out in restaurants so that you don’t accidentally consume a gluten laced diet. Also, you have to be careful and ensure that your food does not get contaminated by the wheat meals prepared in your kitchen. A well defined plan can often make your kitchen completely gluten free. If you can’t frame an elaborate plan, use separate cooking utensils, containers, and cooking equipment. Try and avoid any toothpastes or medications that might contain gluten. Now that you’ve learnt to identify gluten free diet foods, are you worried about what you will be missing out on? The honest fact is, wheat products like breads, cakes, and pies are tasty. Giving them all up and switching to a strange diet might be hard and can take getting used to, but you need not worry, because you can still have delicious meals without wheat. To add some spice to your meal, you can include fresh meats, vegetables, fish, poultry, and dairy products in your diet. Just ensure that you choose only the raw ingredients and avoid prepackaged foods. You can even use this as an opportunity to check out alternative cuisines. Try rice based recipes, include lots of salads and homemade soups, and treat yourself to lots of tasty nuts and fruits. It is up to your imagination to make a meal as drab or as tasty as you want. 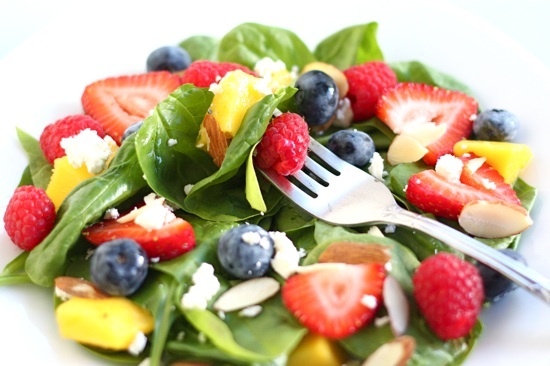 Salads should feature prominently in your gluten free food list. Some food items that can be included in a gluten free diet are: Milk, cream, butter, cheese, soy milk, coffee, cocoa and chocolates, tea, fruit juices, coconut, almonds, cashews, honey, molasses, rice syrup, corn syrup, beans, seafood, dry fruits, potatoes, and tomatoes. You can find a lot more if you care to do a little research. Living on gluten free diet foods might involve many changes to your lifestyle, but it doesn’t have to include giving up appetizing meals. This entry was posted in Nutrition and tagged gluten free diet food list, gluten free food list, gluten free foods list by Zipheal Editorial Staff. Bookmark the permalink.